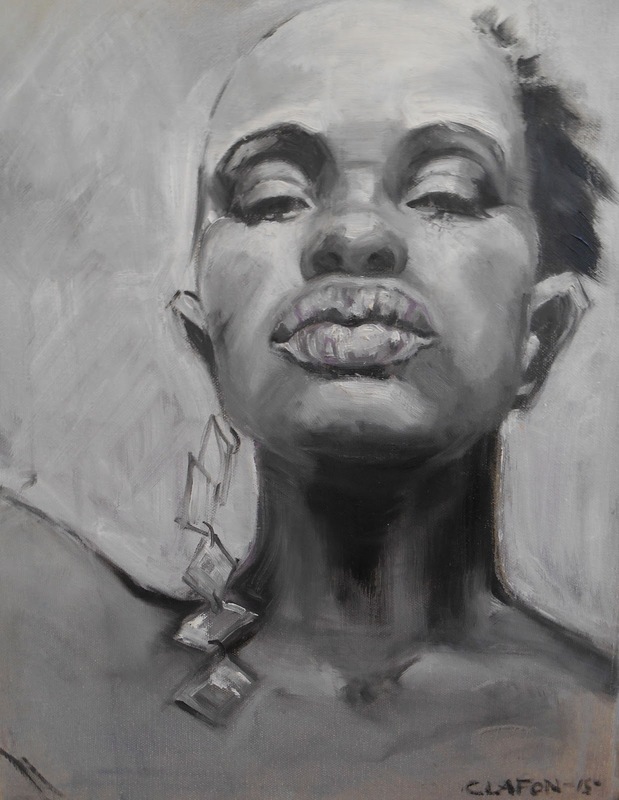 This oil painting is Standard Bearer No 2 by Christine Lafon will be on show at MMContemporArt's sale in Grantchester on 4 - 5 the November "I don’t know who this African beauty is but her proud stance reminds me of the standard or flag-bearers who march at the head of their own country’s athletes in the opening ceremony of the Olympic games - although perhaps not wearing outsize earrings! Or do they? This was only my 2nd attempt at a portrait in oils, so I based it on a water-colour portrait I had painted some time before, but confined myself to simpler black and white. I was quite pleased with the result and in fact prefer it to the water-colour version." For more of her work visit her website www.christinelafonart.co.uk or follow her on facebook.